CrossFit is a fitness program created by Greg Glassman to make you fitter than ever before. It does not focus on one particular skill but makes you good at multiple skills as well as increase your stamina. CrossFit takes the best out of other sport and joins them together in a fun strength/conditioning workout. WOD is basically an abbreviation of Workout Of the Day. Each day there is a new workout, they are often posted online at the box´s website and of course written on the board when you come in to work out. What will happen in my first class? The first CrossFit class should be an introductory class where you are taught the right movements and will have to do some wod that beginners are able to do. You will learn some of the lingo. Don’t show up to a regular CrossFit class without having any experience in sports. The first class will be relatively hard but should not kill you. If you work hard you will definitely get stronger. If you take care of your body by eating and sleeping to recover. CrossFit also works with metabolism so getting big is not the aim for most crossfitters but getting strong and fast. You need to lift heavy and do burpees, run and pull ups. If there is not weights it is called air squats. If you squat for strength you have to work up a weight for yourself. Front squats, overhead squats or back squats in a wod usually have a prescribed weight which you can scale if you need. Where can I find descriptions of the exercises prescribed in the WOD? If you want to do your homework and know the movements before you show up at the box, you can always google them and find a video. The coach will of course go through all the movements before the workout starts. What’s the “best” damper setting on the C2 rower? Between 3-4 is like rowing on water. Most people prefer the setting between 7-8. 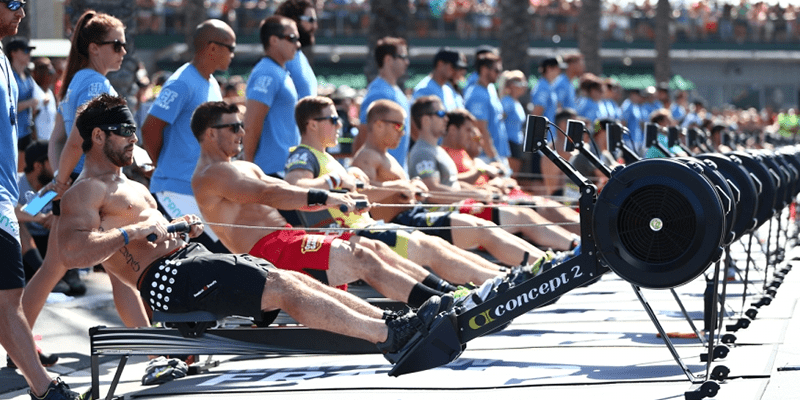 Depending on how long you are going to row and if the goal is to get more meters or calories. Short rows with high setting and longer row with lower setting. What does a CrossFit box offer that a regular gym doesn’t? Why is it so expensive? In a box, if you are in a class, there is usually a maximum of 10- 15 people doing the workout, so the coach can assist every single person on a personal level. All the coaches are professional and have done a coaching seminar to be able to work at an affiliate. There are all sorts of classes available at the boxes, not only CrossFit, but also yoga, metcon, Olympic weightlifting, gymnastic sessions and more. There is freedom to lift by yourself in an open gym too. Will I be able to do the actual workout? Yes. The main idea behind CrossFit is that everyone can do it. If there is a part of the workout that you cannot do or are scared to do, then you scale it down. If you cannot do a handstand push up, do a spike push up, or siting presses, a movement that you can handle and uses the similar group of muscles. Even if you are injured you can almost always work around the injury by scaling the movements that you should not do. Every sport has a fan base, people who seem to live for the sport and only talk about the sport. Of course, is CrossFit one of them. If you start doing CrossFit, you want to talk about how fun it is and tell people about your progress. You love your coach because how he makes you go harder and faster than you though you could possibly do, and your box buddies become your friends. 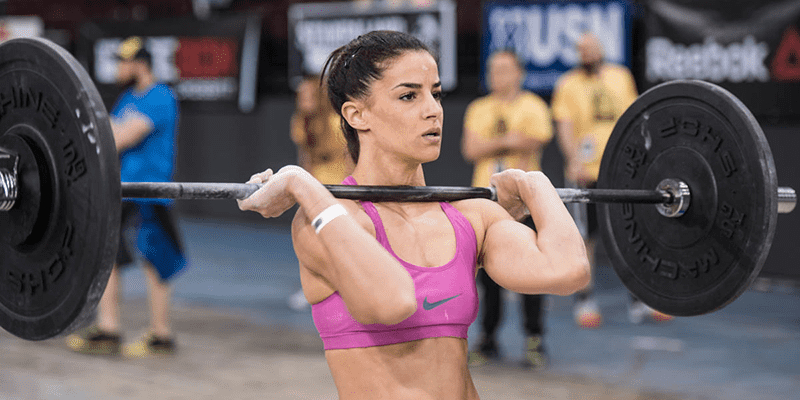 You start following the CrossFit athletes and dream of going to the Games, but of course there are also regular people that only come to the box for the team spirit and to get fit. Every class has a warm up session, but if you have extra time before the workout it never hurts to warm up on your own. Read the board and see what the wod is and focus your warm up accordingly. Also, good to make it a habit to stretch after a workout. CrossFit agrees with anyone, no one is too old or too out of shape or anything. You will improve your strength and stamina by doing CrossFit, no matter from where you start. The workouts are always varied so they keep being fun while still challenging. The coaches are well educated and will help guide you through every workout and issue that you could possibly have. It is so varied that you will never get bored. All the exercises work with multiple joints and use the body, unlike with body building. All the movement are efficient and functional. Crossfitters must be ready for the unknown all the time so they train differently every day. How do I measure fitness progress? Cardio/Respiratory Endurance, Stamina, Strength, Flexibility, Power, Speed, Coordination, Agility, Balance, and Accuracy is a good way to measure your success. Your whole life gets easier, just walking up stairs and bringing home groceries while holding a baby and keys will be an easy task. If you want to see numbers you can always step on a scale, take progress pictures of yourself or do a body fat measurement. Will people laugh if I don’t know what I am doing? No. the CrossFit community is there to cheer you on, if anyone is mocking people they might get kicked out. Crossfitters are all about support, in the box everyone there is on the same level. Train for yourself and on your level and get praised for what you accomplished. No. You are never too old to try CrossFit. Just be careful to regard your age and background. If you are older than 40 and have never done any exercise in your life, then you should not compete with the 20-year-old. You can always show up and do you best, and even be better than some of the younger ones. Even if you are closer to 70 years than 40 you can still show up and I guarantee that every single person in the box will cheer you on. You don’t need to be strong at all, you get strong by doing CrossFit. Many beginners can´t lift the empty barbell at first. The coaches will help you decide what weights you should work with in the beginning. It is always a possibility of getting hurt in any kind of sport. However, if you listen to your coach and follow the instructions you should be okay. Be careful to warm up every time and listen to you body. If you are too tired or your mind is not in the box, there is more risk of injury. If I have previous injuries, can I still do CrossFit? Most coaches ask in your first class if you have any injuries or any problems in your body before starting the workout. If you have back problems for example the coach will help you find a way to reduce the strain on your back with a scaling option. Scaling in CrossFit means adjusting the intensity level to your level. If you are not that strong, scale by using a lighter weight. If you cannot do pull ups, get an elastic band or do a ring row instead. By being able to scale every exercise, CrossFit is something that every single person can do, at their level.